As a kid, the holiday season was just that, a season. When fall began to roll in there was an anticipation of the milestones that lie ahead. The last quarter of the year, for me, boasted the platinum package of holidays, the extra value meal of festivities. 25% of the calendar laid claim to 100% of the specially marked days. Halloween equated to candy, cider and the smell of fallen leaves. Thanksgiving, the proprietor of feast and currier of cherished dishes only indulged once a year. And the granddaddy of celebrations, Christmas. Christmas was reigned as not just a single day of joy, but weeks of buildup and family gathering. The angst of youngsters yearning for Christmas break often began on the wings of the first chilled breeze to flow through October. Time off school was a guarantee of fun shopping trips with mom, special lunch locations between gift gathering and baking with grandma. Talk about an event. Baking with Grandma Thompson was my validation that Christmas was just around the corner. Just like the flutters a Rockwell poster could generate, being in that kitchen created a buzz that could last until New Year’s. The table would be engulfed in mixing bowls, flour, chocolate chips, butter, pecans, sugar and love. In grandma’s hay day of production mode baking, that little kitchen and vintage GE electric stove oven could pump out more varieties of treats than probably necessary, in quantities potentially deemed obscene by sugar conscious health nuts. But you see, our family is big and her goal was to provide everybody with a little taste of joy. Between the pecan balls, pineapple cookies, pretzel party mix, banana nut bread, chocolate silk pies and more, no one would be without a treat. One of my personal favorites was always the chocolate drop cookies. They did, and still do, hold a permanent place in my heart and on my plate. 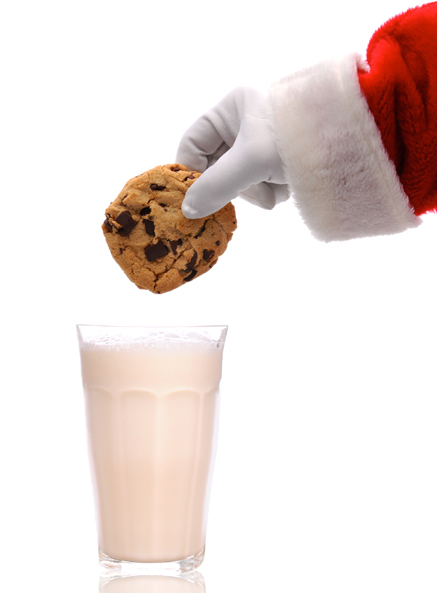 But the contenders to grace the cookie ring every year at Christmas were the venerable chocolate chip and sugar. The two classic fighters, battling for Santa’s plate each Christmas Eve. But this year, I put the battle to you. Who walks away from the duel a champ? Let’s look at some stats. – Partners great with milk for a classic combination of dunkability. – Jam packed with sweetness through an aggressive three punch combo of brown and white sugars, along with the infamous chocolate chips. – A simplistic cookie, it can be used as basis for other cookie variations. – Used as a great kids activity, they’re easily decorated and customizable. – The cookie dough responds well to countless shapes and holds those forms during baking. – Delivers a powerful right cross of sweetness through the classic combination of sugar and butter. And so, the battle begins, 10 days before Christmas. With one round per day culminating at the day, I leave the decision of the victor in your hands. Share the poll with your friends and fellow judges. 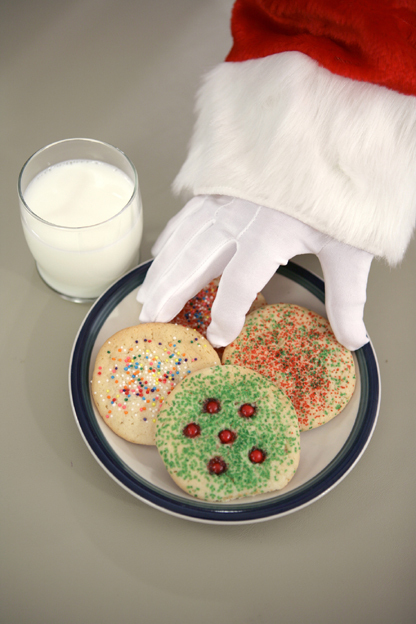 Christmas day, one cookie will emerge from the ring as the clear champion of Santa’s plate. Good luck to the contenders. *Information pulled from Wikipedia with a basic search of chocolate chip cookie and sugar cookie. Gallery | This entry was posted in Food Duels and tagged Baking, Chocolate Chip Cookie, Christmas, Sugar Cookie. Bookmark the permalink.